I have to admit I am glad Thanksgivukkah is over, as I’m simply tired of reading about it and I don’t like the name much either. The good news is we will never have to worry again about it in our lifetimes! There is an important message however from the ancient Festival of Chanukah, or I should say at least two important messages worth remembering as so many Americans prepare now for Christmas. The themes can be summarized by these two: traditional Judaism focuses upon this being the story of Judaism’s fight for survival against Hellenizing forces. They see in the victory of the Maccabees the recurring story of a fight against those who preached assimilation, and the lessening of the practice of Jewish law. The fight, which was a very real battle against those who profaned the Temple, became almost mythic in representing a struggle against not only assimilation, but also those who in a tangible way would destroy Judaism. The second theme is quite different. It flies is the face of the many Jewish leaders who say there is no relationship between Chanukah and Christmas. Students of religious studies know that both these holidays have their origin in solstice celebrations. The first recorded date for Chanukah just happens to be December 21/22, the winter solstice. 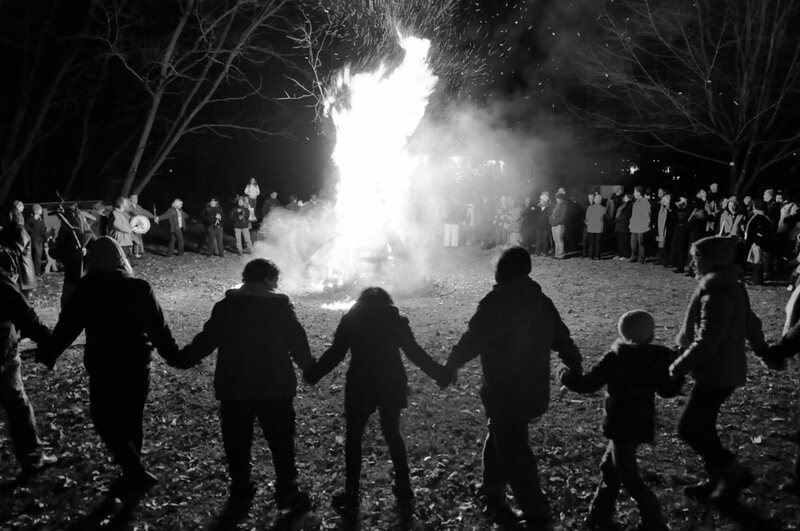 Before there was Judaism and Christianity there were celebrations often done with fires, logically enough upon this darkest time of the year. They were celebrations that were bringing light to a darkened world. How much we need that same theme in this troubled world in which we live. This is the time most importantly when all people, regardless of religion, need to consider what is the light we are bringing to the world? Are we bringing more happiness to those around us: coworkers, friends, family, and spouses? What are we doing to make things better, more uplifting, easier for all those less fortunate than ourselves, people who we can truly help perhaps if only in a very small but meaningful way? At this time of the year, as shadows lengthen, days shorten, cold increases, may we work on bringing a little more warmth, joy, and happiness to those around us. Happy Holidays!